I was shocked and saddened to hear that you had entered into a relationship with the HSUS (Humane Society of the United States) after six years together. I even called one of your customer service reps hoping they would tell me you had revoked your new relationship status (or at least change it to “it’s complicated”). The HSUS promotes itself as an animal cruelty prevention organization, and unfortunately many people donate to them believing they are helping animals in need. In actuality, in 2011 HSUS spent LESS than 1% to help shelter animals in need! If people made donations to their local animal shelters, the donations would be way more effective and helpful. Discover Card, you should also be aware that the American Farm Bureau reports that approximately 97% of all farms and ranches in the U.S. are family owned, not factory farms as is suggested by the HSUS! Like my family, these ranching and farming operations have been in the family for decades and even centuries! Agriculture is our business! Since when has having the skills, knowledge, and resources in your respected profession been a bad thing? While people in agriculture have been accused of making boatloads of money and sacrificing animal care in the process, did you know that the 2012 Census of Agriculture reported that the average farm only netted $43,750 annually! That is below the national average wage index of $44,322 for 2012. Farmers and ranchers do not raise food because of the money, they do it because they love it! Finally, Discover Card did you know that the HSUS’s credit rating was docked this year? Yes, after some unethical behaviors on their end they were dropped from a 4-star rating to a 3-star by the Charity Navigator which monitors charities to protect and inform donors. The HSUS was put on the Donor Advisory list on June 10, 2014, and will remain there for at least one year. Discover Card, if you want more information about your new partner I suggest checking Humane Watch, a HSUS watchdog group. Until then, I too will find a new (credit) partner, as our interests no longer align. 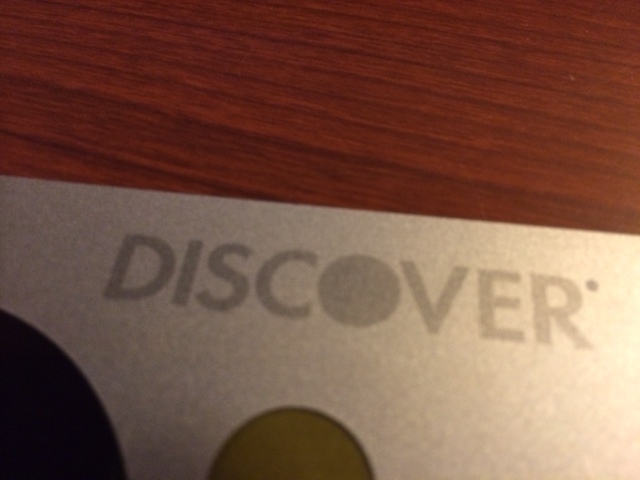 Some interesting discoveries about the Discover card…. Thank you for this insightful information Lindsay….we to will be cutting up our Discover Card. Thanks Katheryn. I enjoyed my card while it lasted. what a crock farmers make 400 to 600 dollars a acre so even a 100 acres gives you 40,000 dollars at least. I live around farmers that grow corn and soybeans some are very big like one farms 20 thousand acres and rents a 100 thousand acres and he is considered a normal farmer but is in fact a company farmer! another Man farms 200 acres and just cut a 100 acres of corn which took him two days and he’s done! these farmers work other jobs like road jobs, cops, and teachers and still do all the farm work themselves which takes my farmer two days to plant and four days to harvest 200 acres he makes 80,000 plus 54,000 teaching all things, argi, teaching farm kids farming! LOVE this! I will be sharing on DrAmyTalksAg!! Very informative post about the Humane Society of the U.S.! Dr. Lindsay Chichester’s latest post. Please know what you’re really supporting (check out her reference links) when you use your HSUS Discover Card. Saddens me that companies don’t do there homework before donating. Wow – I had not idea this was happening. Thanks for the information!